MASSIVE VOODOO: Bust - Jamal, and some other news! 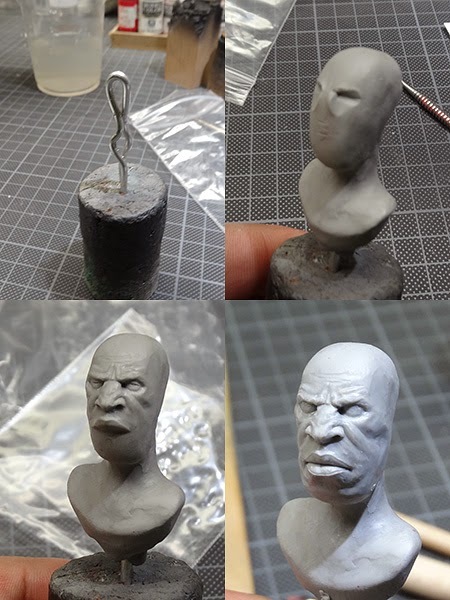 it has been a very busy week, but still I found some time to continue sculpting ... at the moment I am really sculpting like a madman. And it's soooo much fun! I am really enjoying pushing the putty around. And, as I am really sculpting a lot lately, there will be a big review about BeeS Putty Plastic, a new sculpting material that will be introduced. 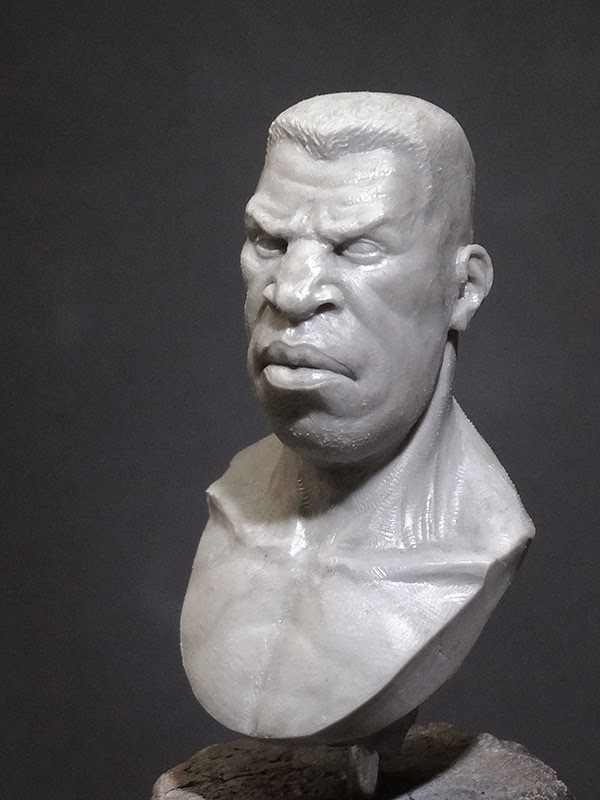 This week I finished a small bust. 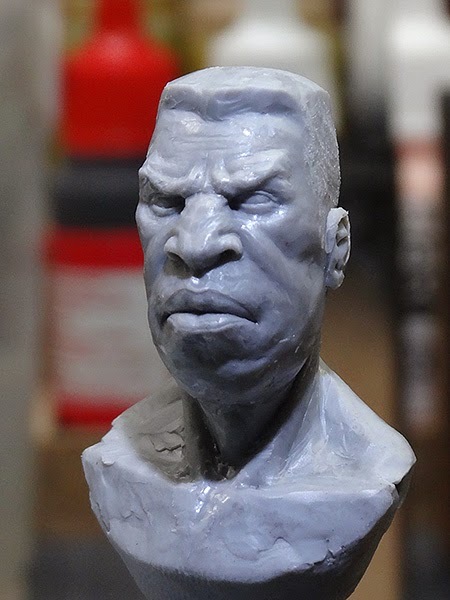 A guy called Jamal, here are some work in progress photos. 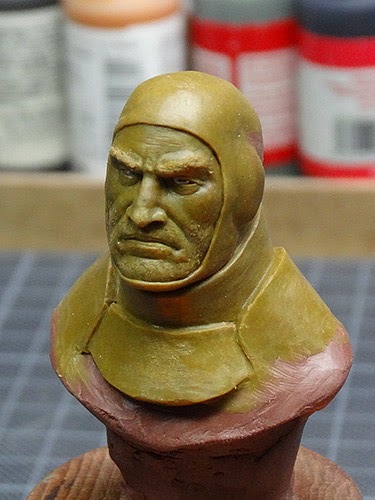 He was sculpted in BeeS Putty Plastic Firm and I really enjoyed the material! He got sent to be casted today, but I am still looking for a really good and reliable caster (I already got one, but his capacities are always very, very full). 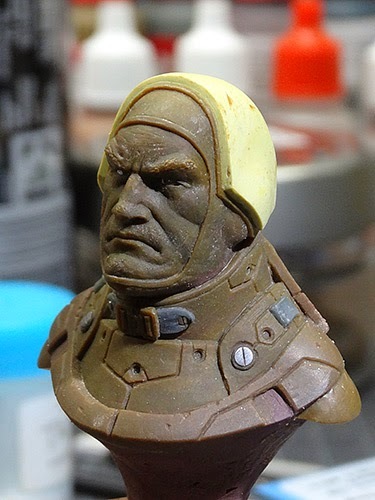 Another sculpt was also taken out of the cabinet yesterday, a rather "old" one, but still unfinished. I thought it was time to give this guy another shot... my Cosmonaut. I reworked a lot of stuff. Since he was already baked, I carved a LOT. His whole face was reworked again using wood carving tools, it worked really well. Pedro showed me at his class how to get a shiny, nice surface after sanding or carving putty using a very soft toothbrush and very little vaseline. It's much easier to see what you are actually doing when the surface looks nice. 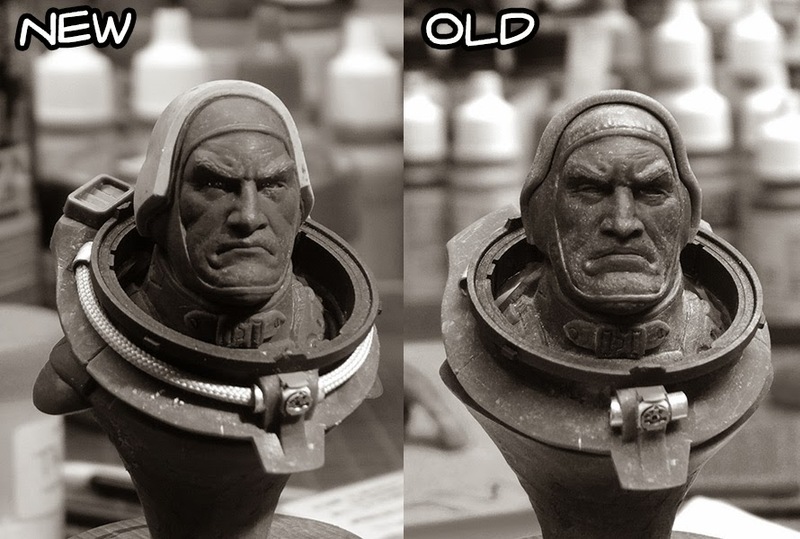 I think it's a small difference and it's far from perfect since it was already baked, but in my opinion the new version of the face is muuuuuch better than the old one. That's a really old work in progress shot sketching out the under armor suit. And here is is how it looked yesterday. I think he will be finished soon! Ok, so that's it for now, have a nice day! Some days ago we had a very nice painting/sculpting weekend at Peter's.... it was awesome! 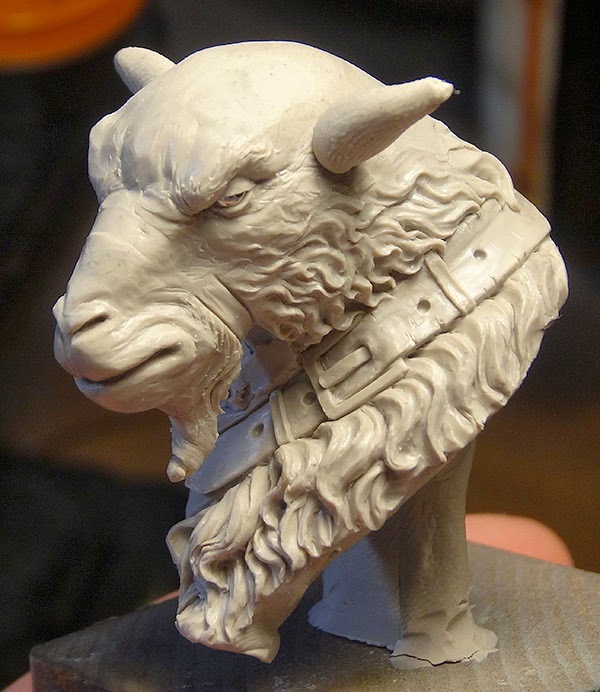 For this weekend I wanted to sculpt an Ibex. 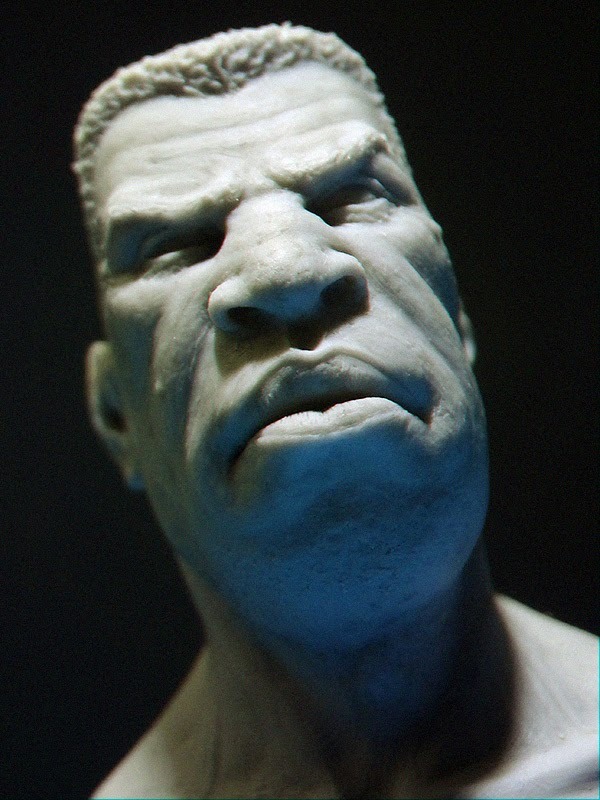 I really, really wanted to sculpt a realistic one. But somehow I realized that's just not me and so I unleashed the inner Raffa and let it flow. 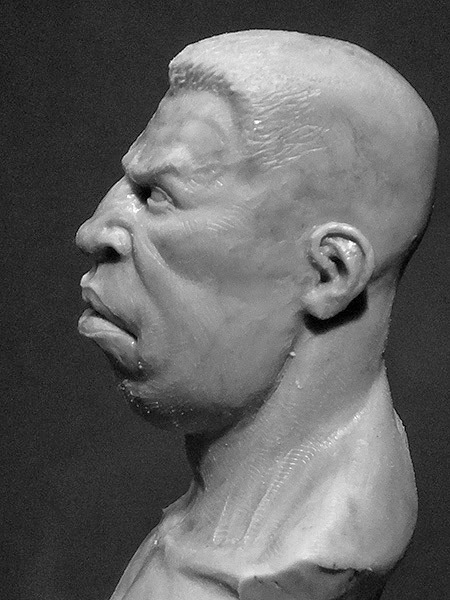 I made some sketches that I will show when I continue sculpting on him, but at the moment this photo must be enough. I know it looks somehow a bit strange right now (especially without the horns) but I think it will turn out pretty cool. 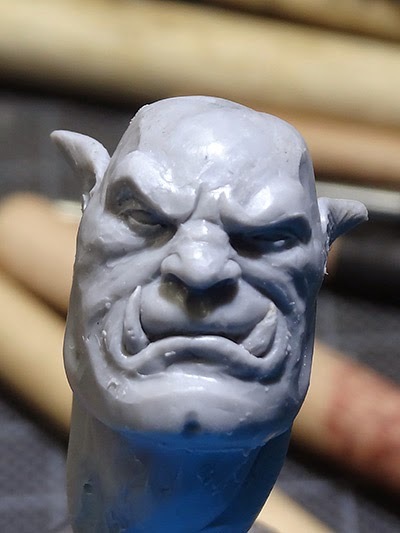 The putty was a mix of Fimo and Super Sculpey Firm, a really good mix! I am also working on my Caravan Guardian, giving him the last touchups for casting... should be done very soon! So, I hope this small post was somehow entertainting to read! There are 9 Kommentare for Bust - Jamal, and some other news! Hahaha, love to see you enjoying the way of the sculpter :) keep on goinig :D see ya next weekend! Not only you're one of my favourite painters but you start to become one of my favourite sculpters! 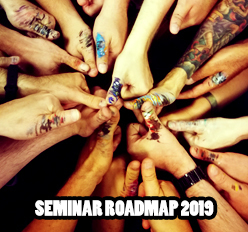 It seems the time you invested and the Workshops you attended really pushed you forward! I think you'll never stop becoming more awesome and it's a joy to see your travel of improving! Hoarsome! :D... Great Busts! Love the Cosmonaut... 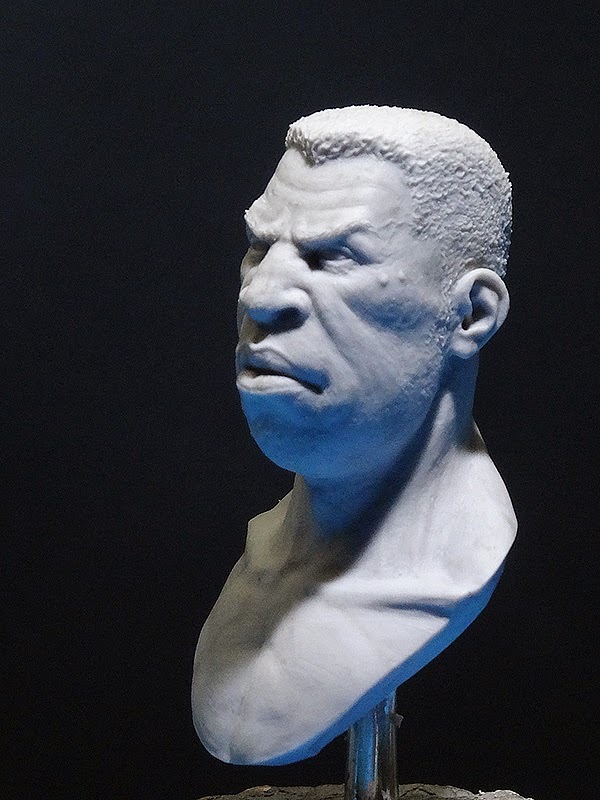 I would suggest you try to sculpt a Female Bust next with a bit more dynamic Pose or Facial Expression as this would be a bigger challenge and develop your Sculpting Skills... :)... Keep them coming! 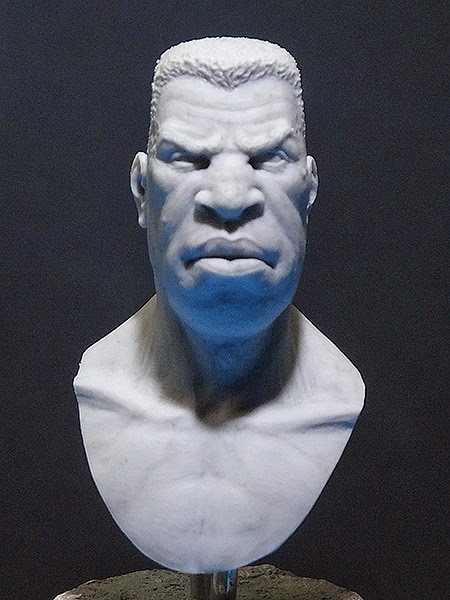 Hi, I really like articles 'bout sculpting. Almost every and everywhere. But your work is becoming something more than something very useful - not only to take some inspiration. Thank you for it. Excellent work, love the beautiful details...and the las pic too! These are awesome, Raffa. Can't believe you did that one in under 50 minutes. I need to look for a good caster too. The demand for my lil' cat sculptures is getting too high. Got a lot of people who want them, but can't pay the price of an OOAK. So happy to see you so active with sculpture Raffa! I miss you mein Freund!